Myanmar used to be called Burma. And Aung San Suu Kyi’s meditative stability in the midst of political turmoil brings to mind Michio Takeyama’s novel The Harp of Burma (1946),** whose central theme is the preservation of one’s humanity in a time of war. Set in the last days of World War II and the period immediately following, this short novel depicts a company of war-weary Japanese soldiers, who are losing their campaign against the British in the tropical jungles of Burma. Fortunately for the troops, their captain is a musician, who has taught the men to sing; and though they are exhausted and homesick, they have kept their spirits up by singing Western and Japanese songs. Among their favorites is “Hanyu no Yado,” a Japanese version of “Home, Sweet Home.” And in one of the most memorable scenes in the novel, in which the company is surrounded by British forces and is bracing itself for an attack, the company’s harpist, Corporal Mizushima, plays “Hanyu no Yado” on his Burmese harp. To everyone’s surprise, the British soldiers hidden in the forest can be heard singing “Home, Sweet Home.” Shortly thereafter, the British come out of hiding, and the Japanese learn that the war is over. In that pivotal scene, Corporal Mizushima assumes the foreground. And as the novel progresses, Mizushima’s personal transformation becomes the center of attention. A man of meditative disposition, whose face wears “the sad, contemplative expression that tropical peoples such as the Burmese often have,” he is sent on a mission to persuade a remnant of Japanese troops, who are holding out against British artillery, to give up their suicidal effort and surrender. His mission fails, and he is separated from his company. To survive, he acquires a monk’s robes and wanders unnoticed through the villages. But as the narrator observes, clothes influence a person’s outlook; and it is not long before Mizushima, who has been impersonating a Theravadan Buddhist monk, elects to become one. Wearing his robes, he visits the British prison camp where his fellow soldiers have been confined, and they observe that he “seems to be meditating, peering into his own heart.” Later they learn that Mizushima, having come upon the decomposing bodies of Japanese soldiers during his wanderings, has decided to stay in Burma to bury the dead. Sixty years on, Takeyama’s vision of Burmese culture may seem as dated as it is idealized. The Buddhist monks who protested against the military dictatorship in September, 2007 were not accepting the world as it is, and in the junta’s brutal response there was not the least sign of yielding. But a suggestive and heartening continuity may be found between the fictional character Mizushima, whose evolving meditative awareness engenders compassionate action, and the real-life presence of Aung San Suu Kyi, whose constructive, courageous leadership has been supported by meditative practice. *Joshua Hammer, “A Free Woman,” The New Yorker, January 24, 2011, 24-30. **Michio Takeyama, The Harp of Burma, tr. Howard Hibbett (Tuttle, 1966). Kon Ichikawa’s acclaimed film The Burmese Harp (1956) is based on Takeyama’s novel. Sometimes putting on the clothes can be enough. There was once a thief in India. One night he was stealing from houses in a small village when the dogs started barking. He fled from the village, ditching his loot under a shrub. But the villagers were gaining so his stripped off his clothes, covered himself in ashes, and sat down in meditation. The villagers rounded the corner and saw him. “Ah, a holy man! A holy man has come to our village!” And they completely forgot about the thief. The villagers sat down around the holy man thief and started to meditate with him. Someone brought him food. And so it went, day after day. People were always with him and he couldn’t get away – all he could do was sit in meditation. Dang! The monsoons came and the villagers built a small shelter over him. And he continued to sit . . . month after month. And, as time went by, the thief actually became a holy man. Funny how the universe provides! An elegant connection. I also recommend Emma Larkin’s books “Finding George Orwell in Burma” & “Everything is Broken,” as well as the documentary “Burma VJ.” There’s also a recent one I have not seen, made for HBO, “Burma Soldier,” made by a former soldier who joined the opposition and who seeks “reverse pirating” to smuggle it back into his homeland. 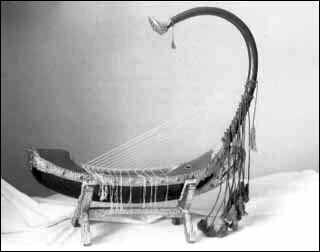 I’d like to hear some burmese harp music. Any sources?